For several years, when it came to deodorant, I wanted the absolute strongest thing on the market, and refused to trust anything besides clinical strength. But when I learned about how antiperspirant clogs your sweat glands and has a possible link to breast cancer, I decided to abandon my excessive approach and look for something natural. This proved to be a lot more difficult than I thought since literally no product I tried seemed to work even fractionally as well. I was about to give up hope when Shark Tank came to the rescue. 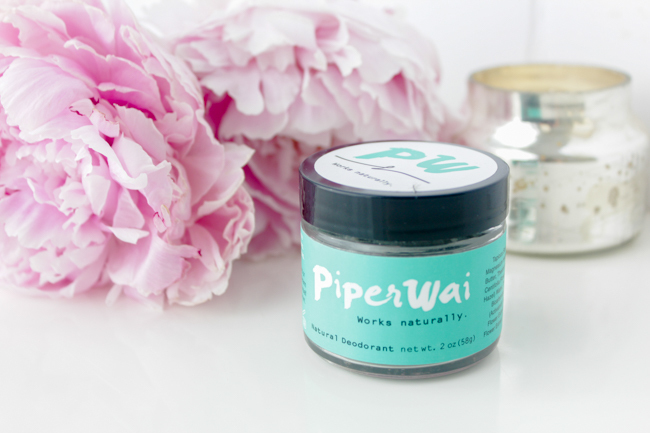 When Piperwai appeared on an episode of Shark Tank, it seemed too good to be true. All of the Sharks were impressed with how well it worked, and they ended up striking a deal with Barbara. Although I'm obsessed with Shark Tank and never miss an episode, I don't treat it like the home shopping network, and have only purchased two products, including this one, that I've seen on the show. However, I was so intrigued I decided to give it a try and I'm glad I did because I don't think I'll ever use anything else. I wanted to provide an honest review of it to help anyone else struggling to find a natural deodorant. Does it actually work, even for workouts? Yes! I use it for all my workouts and it's great every time for deodorizing. However, it doesn't keep me quite as dry as my clinic strength deodorant/antiperspirant used to. It has a subtle minty scent. It's ingredients include charcoal, coconut oil, shea butter and pure vitamin E, and is completely aluminum free, which is what clogs pores and is potentially linked to breast cancer. You scoop a pea-sized amount out of the jar with your fingers and rub it under your arms. When its rubbed in it's completely clear. Yes! It's all natural and won't cause any irritation. How much is it and where should I buy it? I recommend buying it on Amazon since they offer free shipping. On the Piperwai website its only $11.99 but they charge about $5 for shipping, making it $16.99 total. On Amazon it's $15.99 but shipping is free so you save one dollar and have the reliability that Amazon provides. Yay! That is exactly why I wanted to post this review, to help anyone else on their search. It took me forever to find a good one but this actually works! Have you ever tried using a simple alum stone? It does work well, even for workouts or running sessions and you can actually moisture your armpits with any facial cream you use in the morning. It is quite simple and makes you save a lot of money. Omgosh I saw this on Shark Tank!! Really good to know! I might have to get it!!! I am Shark Tank obsessed haha! I didn't buy it right away, but couldn't get it out of my mind so was so excited when I finally purchased it and it worked so well. Thanks so much! It smells very nice but not over powering at all! Wow this is a wonderful post because I keep looking for natural deodorants all the time. I really have sensitive skin and sprays and stuff from the drugstore always harm my skin so I needed something like this. Oh good! I have had the same issues so that's exactly why I wanted to share this review. It took forever for me to find a good product so hopefully you give this a try and it will save you some of the hassle! 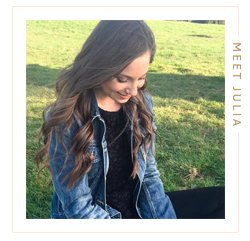 Such a great post Julia.